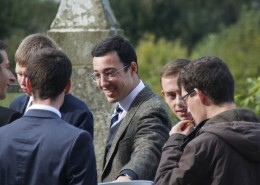 The community at the service of the Church. It is difficult to sum up in a few lines the reasons which today push men to leave the world in order to serve Christ and the Church in and through the Community of Saint Martin. But we want to know how the Community may service the Church better, since that is the only reason why it exists. 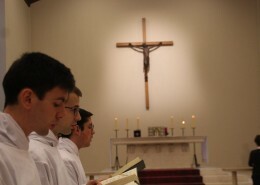 Let us therefore try to identify the essential motivations which have lead the seminarians to choose the Community, let us draw up a list which cannot be complete, knowing that these reasons, well present in the heart, aren’t always named at first sight by the intelligence. Let us dare to say it, as humble as possible: if there are men who enter the Community today, it is because Christ wants it. That is the essential cause. It is therefore not a question of merit or success in communication. 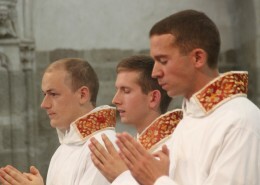 The Community of Saint Martin forms future priests for the Church today because Jesus Christ intends to form servants in this institution. It is thus He who calls them and entrusts them to the Community of Saint Martin. The Rev. Father Guérin, founder of the Community, was always conscious of this. He always considered himself as an instrument, among others, of this particular will of God. The Spirit has been and continues to be the principal actor of this work of God. In its origin as well as today, the Community’s filiation and obedience to the Church have always wanted to guarantee this way of seeing things through the faith. In the logic of the mystery of the Incarnation, the call which Christ addresses to a man in order to enter our community always includes the encounter with priests in love with the priesthood and the Church. 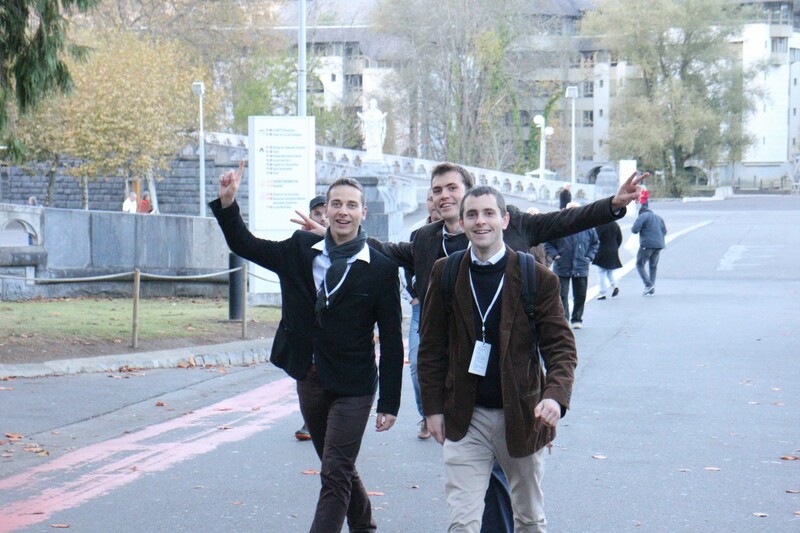 All the seminarians say it. An explicit priestly identity, love of the Holy Father, docility to the Magisterium arouse and encourage this desire to serve the Church. More mysteriously, it is also the family spirit prevailing in the Community which opens the heart of these men to the mystery of the Church. 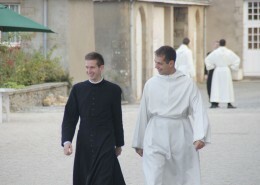 In fact, the visible joy, a sense of hospitality, a realistic humanity and an assumed virility are also ingredients which help the one being called who finds himself on a retreat in Évron, to discover that he resembles the seminarians, that he can be like them, namely that he can flourish like a man by becoming a priest. 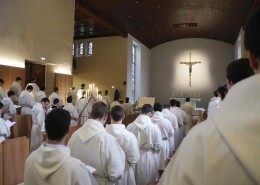 This is by the way in line with a conviction of our founder, who often said: “before making priests, it is necessary to make men who are confident, free and responsible.” Entering a family, with its spirit and identity, where the different generations seem to flourish, is a reason for hope. In a world where many are afraid of engaging themselves, the family spirit is an excellent appeal to confidence. This family spirit in constructed in and by a liturgical life that captures everything. Taking God seriously without taking oneself seriously, and filially make that which the Church demands of us. 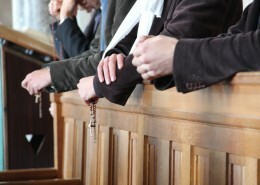 These devices could characterize our way of living the liturgy. 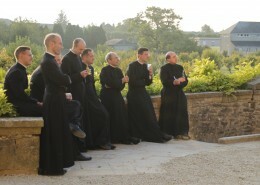 Beautiful and sober, the liturgy is one the sacred spaces where all those on retreat nourish themselves. 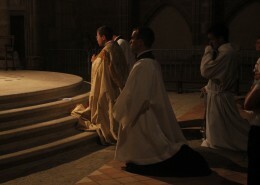 The liturgy creates peace and reassures, lifts up the soul and leads those who are called to say yes. 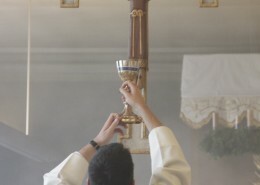 The Eucharist appears indeed as the source and summit of the life of our house of formation. Living in the way of the apostles. 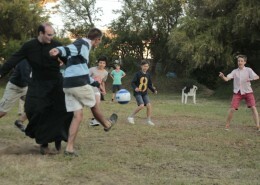 Like our name indicates, one chooses also Saint Martin in order to live… in community. Indeed, while still thinking of oneself as priest in the future, he who discerns often sees himself living and exercising his ministry better with other than alone. This positive desire to live the ministry in common, blended with a fear to find oneself alone in one’s presbytery, will have to be purified during the formation from the fear of the solitude, which needs to be regarded face to face. It is at this price which the decision to live in community takes its value and meaning: that of living the ministry in the way of the apostles. Moreover, this dynamism, created by the mobility and by the diversity of ministries, makes real the generous desire to give oneself without condition. 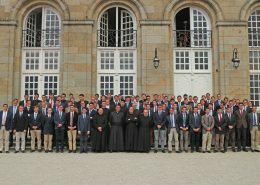 The seminarian leaves the world, his family, his friends, his work or his studies, places himself aside and constructs his friendship with Christ and with his future brothers in the ministry. Some would say that we live like religious. It doesn’t seem like that to me. We try simply to answer to the invitation of the Second Vatican Council which urges the secular priests to assume a communitarian way of living. The one who takes the decision to enter definitively into the Community will have to get to know what renunciations he makes. He will learn that he makes them in a search for sanctification in order to follow more concretely the life style of the apostles around Christ. Ultimately, if it is Christ who calls some to enter the Community, it is the coherence and the unity of the formation which attracts. 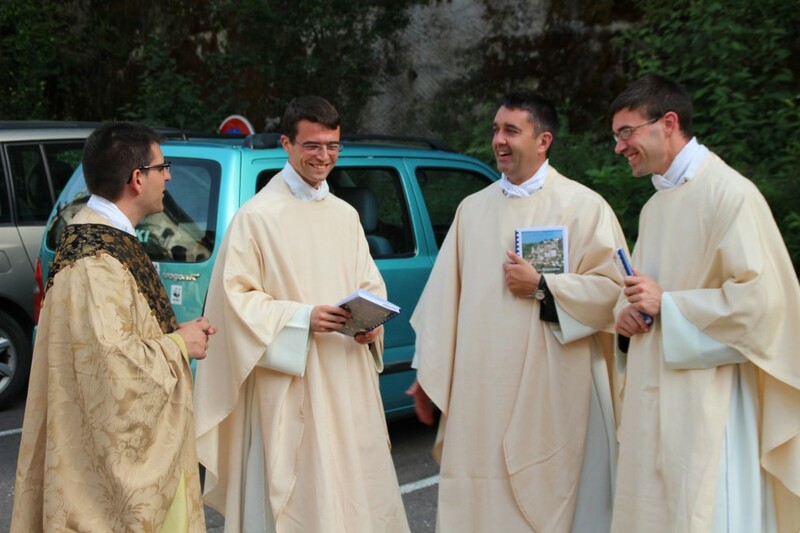 The seminarian who chooses our house of formation simply wants to serve Christ and the Church while feeling that he can flourish as a man, as a Christian and as a priest. He feels that he is entering a family where the confidence and the good spirit are essential conditions in order to be formed. 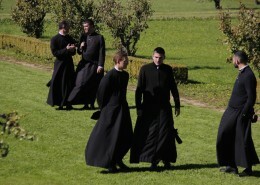 Love of the priesthood, liturgy, community life, docility to the Magisterium in the studies; so many elements that constitute this “alchemy”, inherited by our late founder, which turn out to correspond to the expectation of many young men today. A spirit to be transmitted. 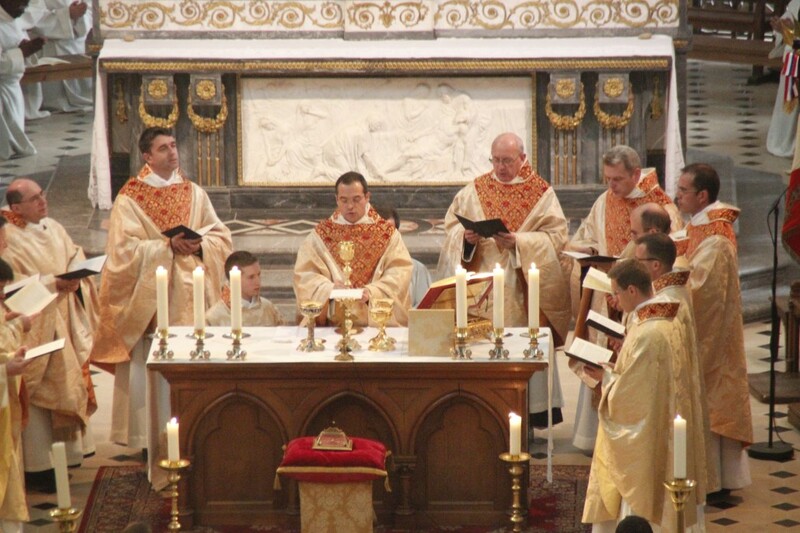 WHAT IS THE MEANING OF THE PRIESTLY CELIBACY? 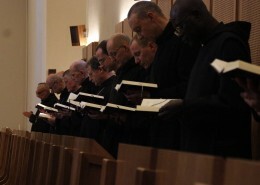 AT THE SEMINARY, WHAT ARE THE STUDIES?